Buying.com is the new generation decentralized e-Commerce network that uses the power of blockchain technology to provide both businesses and consumers a transparent and cost-efficient e-Commerce platform to expand their reach. The module uses technologies like MOQ (Minimum Order Quantity), Bulk Pricing, Microdistribution and Drop Shipment to change the face of the e-Commerce universe for both individuals and retail businesses. The innovative mobile app DPA (Direct Product App) will enable the businesses to sell their products upon their allocated scale and provides individuals and small businesses the chance to get those products on a wholesale price using MOQ technology and Bulk Price method. Buying.com aims to create a decentralized network by embracing blockchain technology for both B2B (Business to Business) and B2C (Business to Consumer) modules of the business with its new and innovative methods like Microdistribution, which allows any individual or small business to turn any free space into a distribution center, thus reducing delivery times for consumers around. And MOQ (Minimum Order Quantity) allows consumers or small retailers that want to buy a product at a very reasonable price but the manufacturer have a scale of sale which they can’t meet. 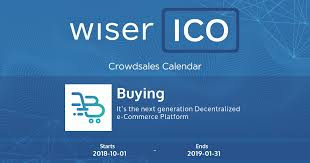 Now, with Buying.com’s DPA (Direct Product App) they can achieve this by getting involved in a group which wants to buy the same product and the app helps them buy the product adding everyone’s money into one place and buying the product in bulk and then distributing it among them.